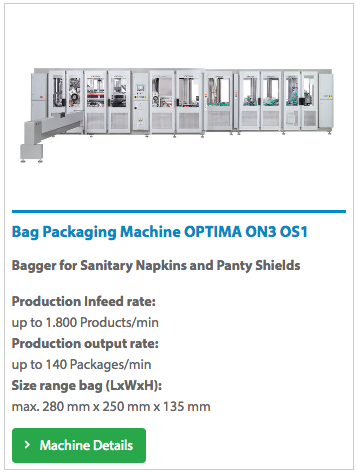 Optima Nonwovens develops leading-edge technologies for packaging paper hygiene articles. 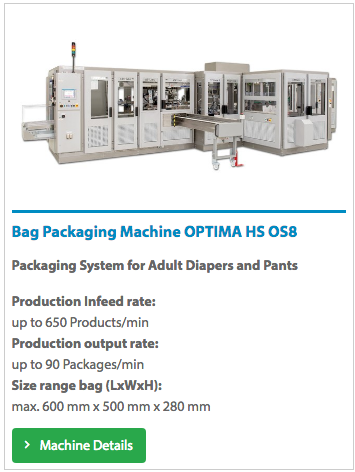 The packaging lines take over diapers, sanitary napkins and bathroom tissue rolls from the production machines in a synchronous manner and package them in plastic film. 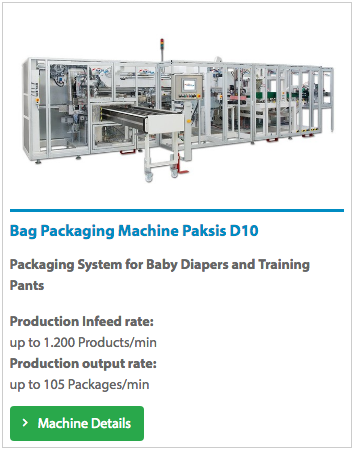 Inspection functions and secondary packaging capabilities are integrated to achieve automated complete lines. 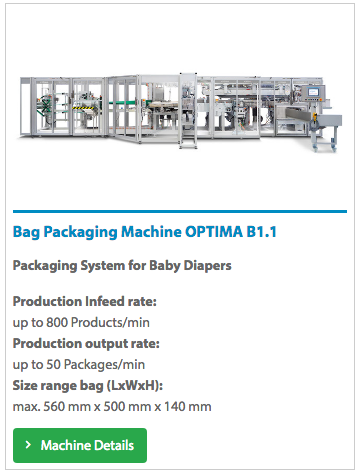 Optima Nonwovens offers the latest packaging machine technology, and in addition, presents a life cycle based service approach: “Optima Total Care”. 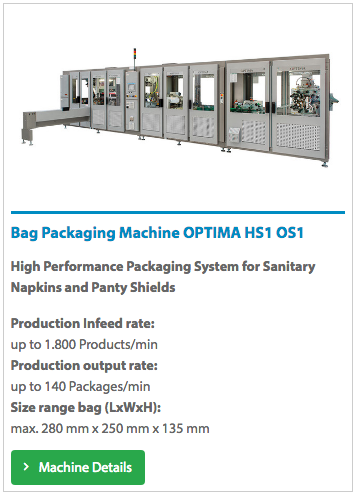 The Optima Total Care system covers the project phase, start-up phase and production phase of the equipment lifecycle. 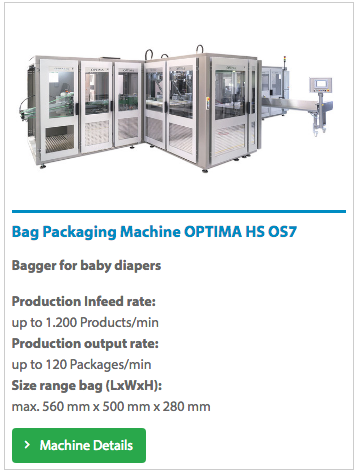 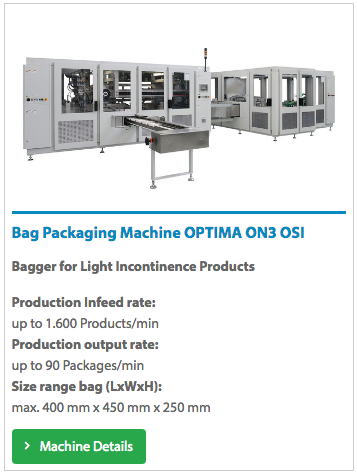 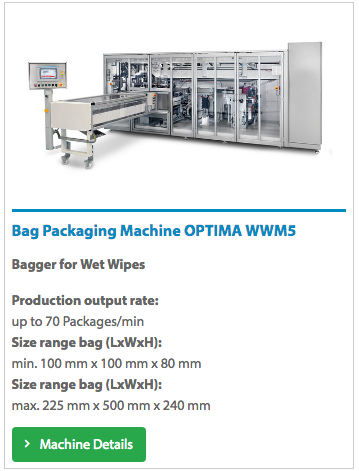 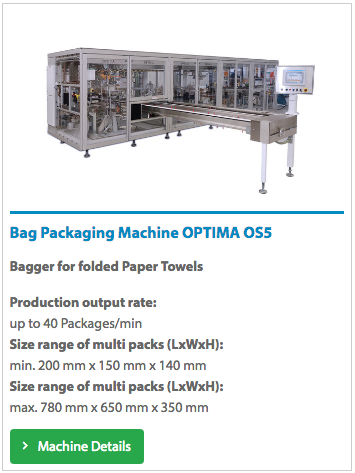 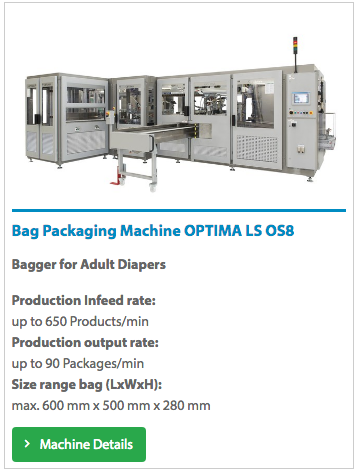 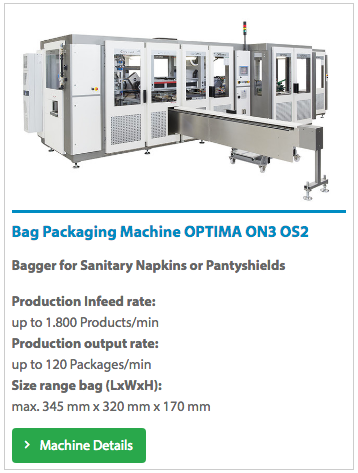 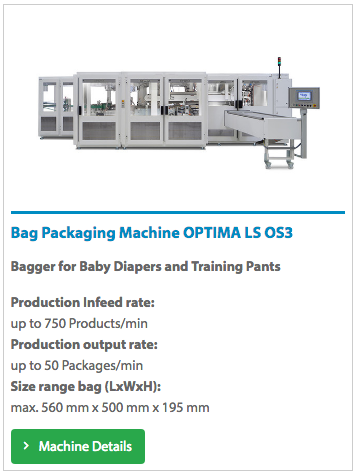 OPTIMA nonwovens is known as an industry leader of innovative technology for packaging machinery. 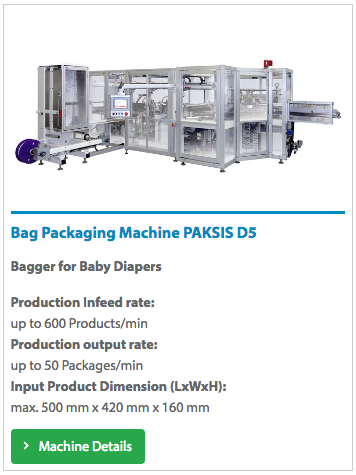 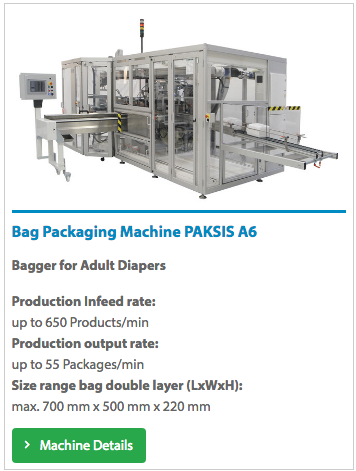 Diapers, sanitary napkins and bathroom tissue rolls are processed and packaged into plastic bags by turnkey packaging systems. 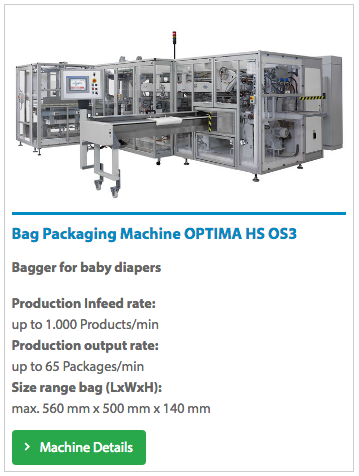 The machinery provides the highest output and most stable process. 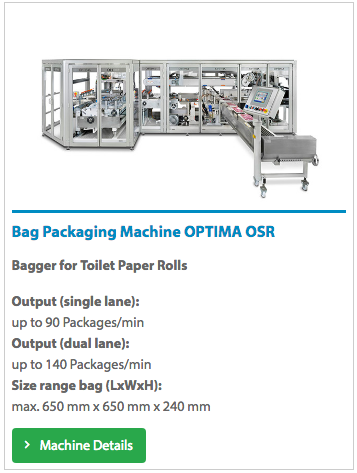 The flexible systems can accommodate anything ranging from the smallest packages to jumbo packs and benefit from quicker format change over times. 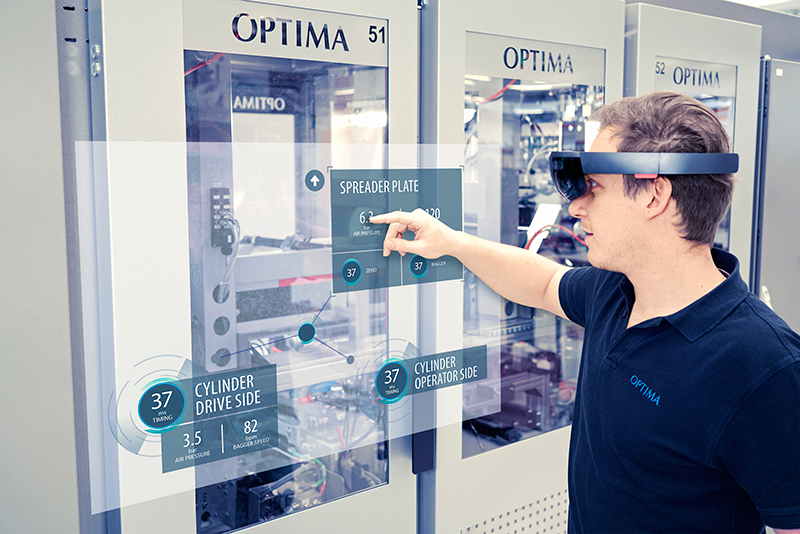 Cutting-edge technology was presented at the Index 2017 with the “Project Zero”. 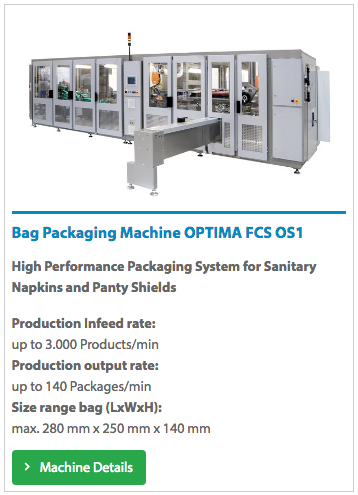 This machine concept shows the new era in production flexibility through a format-change over with zero downtime. 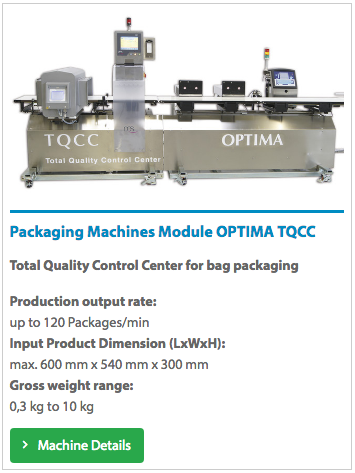 To provide comprehensive fully automated machinery we have integrated inspection functions and secondary packaging capabilities. 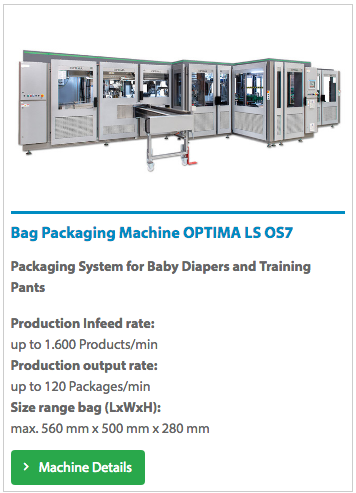 In addition to high-volume systems, the machine portfolio also includes machines of small to medium capacity. 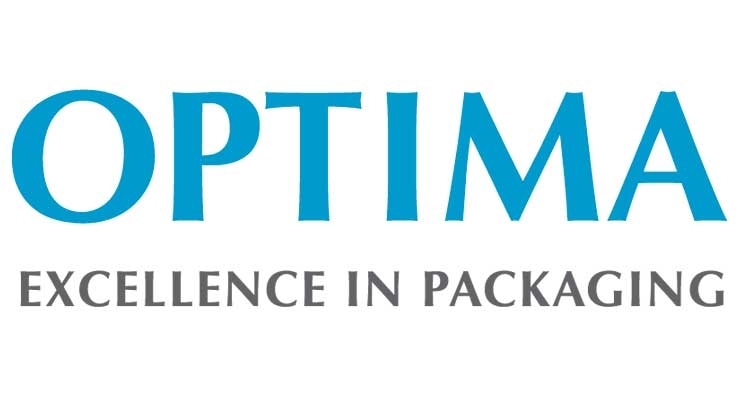 OPTIMA nonwovens GmbH is a member of the OPTIMA packaging group GmbH with headquarters in Schwäbisch Hall, Germany. 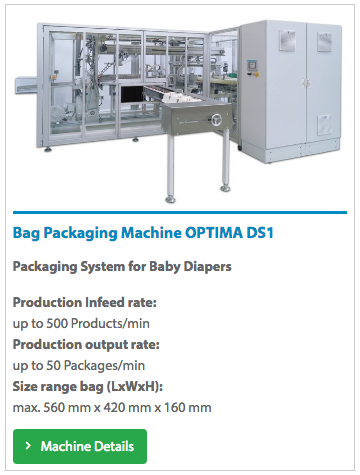 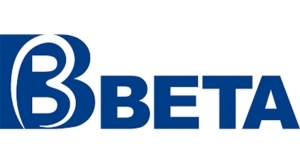 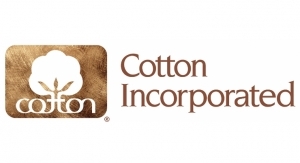 Other subsidiaries operate in the fields Pharma, Consumer and Life science. 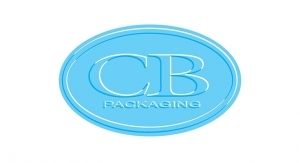 Founded in 1922, the family business employs a workforce of 2,150 at its three sites in Germany and 13 locations abroad.